Yesterday's German manufacturing data disappointed investors and sent the euro to a new 22 month low against the dollar. In addition, China admitted that its biggest banks are struggling to meet the loan targets and this increased the downward pressure on market sentiment. Italian Prime Minister Mario Monti's statement that 'Greece is likely to stay in the euro' did not seem to help as the single currency ended another 51 points in the red, at $1.2535. This morning, tentative buyers are creeping in to push the EUR/USD currency pair back up to $1.2560. There's quite a bit of economic data scheduled for release today and we've already had some mixed German and French manufacturing and services data. The focus for the UK, however, will be the second reading of Q1 GDP which is expected to reaffirm the technical double dip recession. UK growth has disappointed for some time now and almost everyone has reduced their forecasts going forward. Until things improve on the continent, our banking sector is unlikely to be in a better position to fuel the economy. Unfortunately, another few quarters of flat lining growth is the most likely outcome, with the threat of an even deeper recession if the Eurozone really does implode. Ahead of the meeting in Brussels, where European officials were set to clash over how to tackle the situation in Greece, forex account holders remained very nervous. So much so that they pushed the euro/dollar market 94 points lower to $1.2585, even touching $1.2542 at one point, the lowest mark since July 2010. Today's economic data comes in the form of UK retail sales. These are expected to take a hit from the terrible weather in April and weakened consumer confidence after the news of a double dip recession. If the good weather we've had so far this week continues into June, and especially over the Jubilee weekend, then there's a chance that sales could rebound quickly. We also have the BoE minutes this morning which will be interesting to see because of the end of QE at the last meeting. This coincided with the BoE's inflation report that downgraded their growth forecasts. As a result, we should expect to see a more dovish tone to today's minutes. It will also be interesting to see if any other members are leaning towards further QE. In forex spread trading, the euro restarted its slump against the dollar as the former Greek Prime Minister admitted that his country is considering an exit strategy. The announcement hurt an already under pressure euro, which gave back the last two days of gains, ending 127 points down at $1.2679. European leaders are due to meet in Brussels later today, with German Chancellor Angela Merkel facing increased opposition to her stance on austerity. Although political uncertainty in Greece remains a risk, the fact that European leaders began debating the issuance of Eurobonds at the G8 meeting was definitely a plus. Consequently, the euro continued to recover against the US dollar, moving up 54 points to $1.2807. However, many forex traders still doubt the possibility of Eurobonds, especially when Germany doesn't want to entertain the idea. Amid ongoing turmoil in the Greek political arena, some reports have mentioned fresh support for a conservative party that entertains the idea of remaining in the euro. In addition, European leaders seem determined to hold the Union together, including Greece. As a result, the euro was able to take a breather on Friday, recovering 97 points to $1.2778, but it will take a lot more to overturn the sudden downtrend. So far this morning, the single currency has already seen a bit of strength in the currency spread trading markets, with EUR/USD trading at $1.2780. Yesterday saw the EUR/USD pair continue to fall in the FX markets, touching a new 4 month low at $1.2665, and meaning the pair saw a fifth day of losses. The technical trend remains bearish, with traders looking to breach the 2012 lows of $1.2623. Another factor weighing on the single currency is the concern that the situation in Greece will spread to Spain and Portugal. This is proving to be very worrying for any remaining market bulls. Fears of a Eurozone break up continue to build and we saw these fears reflected in the bond markets yesterday. The yields on 10 year Spanish debt spiked sharply higher and Italian yields hit 6%, although this morning they are both a little lower. This is making investors even more nervous about the possibility of contagion and now Spain's Prime Minister is starting to change his rhetoric. He had previously stated that Spain would not require a bailout, but now he is admitting that rising bond yields are making it difficult for the country to fund itself. In the absence of any economic data, all eyes will be on the Spanish bond auctions to see what yields investors demand to lend them short term cash. The euro steadied itself yesterday as it became clear that the Greek public will have to go to the polls once again. The outcome of the vote should decide whether they can tolerate austerity and keep the euro, or decide to go it alone with the drachma. Also buoying the single currency were encouraging words from Angela Merkel and Mario Drahgi, stating that they wanted Greece to stay in the Eurozone. This morning, however, the euro/dollar market remains under pressure, with little sign that it wants to test the upside. At the time of writing, the FX rate is at $1.2720, with near term support and resistance at $1.2700/675 and $1.2760/815 respectively. The focus will remain on Europe and the macro picture. Nevertheless, there are a couple of important pieces of data out today that UK CFD trading investors will be interested in. Firstly, there are unemployment numbers this morning which, despite a surprising improvement last month, is expected to show that the UK labour market remains weak. There's been little in the way of encouraging data from the UK recently, but last month saw the first indication that unemployment is starting to peak. Today's figure is likely to show that job creation has largely come from part time work rather than full time positions. In addition, the rate of unemployment, which had ticked downwards to 8.3%, is expected to rise back up to 8.4%. Then there's the BoE's inflation report and it will be interesting to see whether the MPC stick with a relatively hawkish tone. In the last report, concerns over high inflation seemed to be at the forefront of the committee's mind. The other major issue is the confirmation of the double dip recession. As a result, their current growth projections will probably be revised downwards, particularly since the Eurozone is imploding again. Later on, there will be US housing numbers and industrial production figures. The FOMC minutes will round off the day. 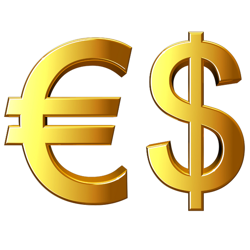 The euro/dollar forex market made a low of $1.2720 yesterday as the situation in Greece continued to deteriorate. Bears sold the single currency heavily after socialist leader Evangelos Venizelos announced that coalition talks had failed and the public would have to go back to the polls next month. There's lots of economic data out today, with German GDP figures impressing but French GDP data not holding up as well. Later this morning, the EU wide GDP figure will be released. We will also see UK trade balance data, the German ZEW sentiment survey, and then US CPI and retail sales. Concerns that Greece will imminently exit the euro were intensified as Greek coalition talks once again failed to bear any fruit. With Greece now looking set to renege on its fiscal commitments, the much needed bailout funds will be held securely in the creditor's pockets. With the euro still struggling below the $1.29 level, FX spread trading investors will be cautious as we approach the 2012 lows near $1.2620. This morning though, the bounce in equity markets is lifting the euro, with EUR/USD trading higher at $1.2865. With little in the way of any economic data out today, the focus will be on Italian and Spanish bond auctions. Both countries have seen their 10 year bond yields creeping higher in recent days, with Spain's getting back above 6%, but neither have really raced out of control. In FX spread trading, the euro continues to weaken now that it has firmly established itself below the $1.3000 level. The few positives, i.e. Greece receiving €4.2bn from the rescue package and Spain partially nationalising Bankia, failed to provide any upward momentum. In addition, uncertainty about Greece's commitment to the EU/IMF bailout conditions is still placing huge downward pressure on the single currency. This morning EUR/USD is trading at $1.2880 and the bears will be watching the support levels at $1.2875 and $1.2860 very closely. Meanwhile, resistance is quite some way off at $1.2955/80.